SUMMARY: A tense, fast-paced hour about crumbling morality in the loss of self. Three weeks have passed with Oliver being drugged and trained as a member of the League. Al Sahm is charged by Ra’s al Ghul with taking out his rogue daughter, Nyssa. Nyssa continues to train Laurel and their friendship grows. When she learns that Oliver has accepted her father’s offer, Nyssa knows that he will come to kill her. Team Arrow is reluctant to help, despite Laurel’s insistence they do. When Al Sahm attacks and nearly kills her, Diggle and Black Canary chase him off. In retaliation, Al Sahm kidnaps Lyla to force Diggle to bring Nyssa to one of the League’s haunts. Diggle is prepared to give her over to them but Laurel convinces them to help her. The team meets up Al Sahm and his forces to make the exchange and fight to keep him from taking Nyssa. 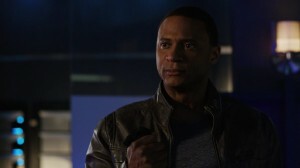 Diggle and Al Sahm face off and Oliver nearly kills his old friend before being stopped by Thea. Al Sahm escapes with Nyssa back to Nanda Parbat, where Ra’s sets Oliver to kill her for her betrayal. Nyssa is revealed to have stolen something from her father: the Alpha-Omega bioweapon. 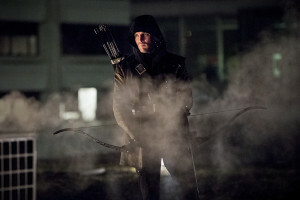 He stops Oliver when he sees he will go through with it and instead insists that Al Sahm and Nyssa will marry. He also instructs Oliver to unleash the weapon on Starling City as the final step in becoming Ra’s al Ghul. Oliver, Maseo, and Tatsu make their way through the panic-stricken city as the bioweapon spreads. They discover some of Shrieve’s soldiers infecting citizens with the weapon under the guise of inoculating them. They destroy the truck with the toxin. They finally get back to home and locate Akio. As they decide to flee the city, Tatsu discovers blood seeping from her son’s mouth. I was trying to recall last week if I had shared a very salient point publicly or not. Around the time of the midseason finale, “The Climb,” I’d mentioned to my colleagues here at GATV that it would be interesting if they brought Oliver back as a villain. This after the hiatus and the three-episode Brick arc that pushed Laurel down her Canary path and reforged an Arrow-less Team Arrow. A cursory search of reviews and social media posts revealed nothing. The thought was born from the second of two ideas about how they were going to bring Oliver back from his seeming death atop the mountain. It traded on the then-popular theory that they were going to introduce the Lazarus Pit and use it to revive him. As mentioned last week, a common side effect of use of the Pit is temporary blind rage. As adaptations go, my thought was that Oliver was going to forget who he was due to violent insanity and that the League would somehow remold him as one of their own. It seemed to fit the theme of the season about identity. It’s funny how sometimes things circle right back around. The premise makes a significant amount of sense. For all of Ra’s al Ghul’s talk about Oliver being able to lead the League in any fashion he saw fit, one can’t escape the fact that this is the League of Assassins. Ra’s can try and church that up all he wants, infuse it with as much import about balance and justice as one can muster, but in the end this is an organization that trades in nefarious deeds to accomplish its goals in the world. The Oliver Queen reborn on Lian Yu, aboard the Amazo, and in Hong Kong lives in darkness, which suits the life of the League. Yet, his innate moral compass, something that John Diggle helped him rediscover and polish to a healthy sheen, would never fit the soul of the League. Purging Oliver of that was the only way this was ever going to work properly. Going back to that season arc, Oliver Queen had to burn away in the crucible so that only the Arrow — the League’s version of the Arrow, Al Sahm (“Al Sah-Him”) — remained. In terrific fashion that the show has always done so well, they were able to tie this back to Malcolm Merlyn’s horrendous manipulation of Thea at the start of the year. 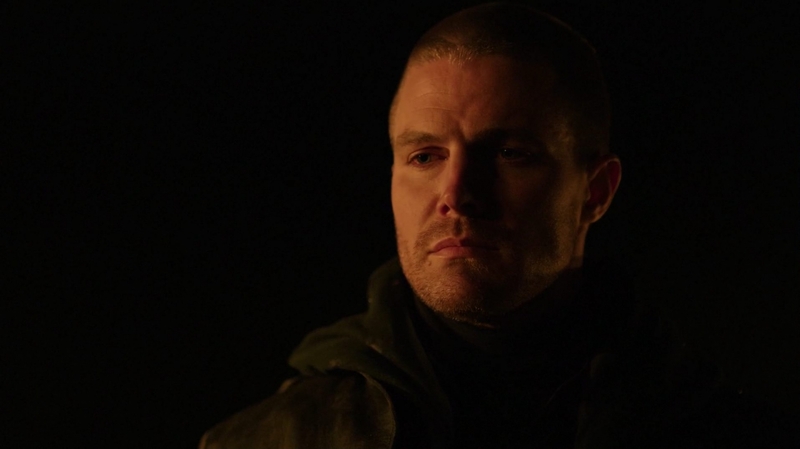 Whether the very same herbs that Malcolm had used to coax Thea into killing Sara Lance or just the same practice, they were slowly given to Oliver to bleed his sense of self and soul out over the three weeks of training that have occured since last episode. In a way, it’s a bit of a cheat and an easy out. What Oliver does at the moment can’t be blamed on him as he was not actively choosing to do any of it. He has been compromised and is seemingly at the will of Ra’s to do any bidding. There are little hints of personality that remain, particularly the moment that both he and Nyssa scoff at the mere suggestion (not a suggestion) that the two be married. One had to wonder briefly if what Oliver is doing is the long con, infiltrating the League to take it down from within. It’s the type of ploy that would certainly be within his wheelhouse. He does kill one person, the man who they convince him is Diggle at the beginning of the hour. It’s not clear if this man was a member of the League or not, but likely so. In other words, a little leeway on Oliver’s no-kill policy is given because he didn’t kill an innocent. Each time he threatens the life of someone we know well, twice with Nyssa and once with Diggle, he’s stopped from doing so. Yet, not before the slightest hesitation, which could suggest he held out psychologically for as long as he could, expecting to be stopped. With Merlyn-Speedy Thea putting an arrow through his forearm and Ra’s catching Oliver’s arm before dropping a blade on his daughter, there’s just enough fuzziness to let it play either way. Even his slash of Diggle could be written off as a flesh wound intended to look more sinister than it was. We’re either going to get the “Surprise, I’m still good!” scene or the moment like in Indiana Jones and the Temple of Doom where Short Round burns a mind-controlled Indy’s bare chest with a torch to break him free of Mola Ram’s influence. Oliver’s already faced Diggle, Felicity, and Thea in his current state. What could possibly shock him back to reality if his mind is truly warped? And then, your Season 4 arc and baddie have just been revealed. Alright, likely not the end-all of what’s in store for next year, but with the introduction of H.I.V.E. to Floyd Lawton in flashback earlier and now mention of the group and their leader, Damien Darhk, the threads are becoming clear and left open-ended. Some might recall there was a rumor earlier in the year that Bruce Wayne’s son with Ra’s al Ghul’s daughter Talia, Damian Wayne, would be putting in an appearance in the season finale. They got the Damien part right, just not the correct character. Darhk in the comics was a brief enemy of the Titans, the aged group of sidekicks previously known as the Teen Titans, of which Roy Harper was a member. He was a genius who had a previous connection to H.I.V.E. Here, they’ve set him up as a contemporary of the current Ra’s, and it will be intriguing to see how they interpret the character as well as the organization. H.I.V.E., of course, was responsible for the death of John Diggle’s brother, Andy, hiring Lawton to kill him. It has been one of the key mysteries of the series starting in the first season but really finding life early last year. For those of us who are fans, a big Diggle-centric arc for next season is a tempting and promising proposition. It’s the Oliver-Diggle relationship that gets a huge spotlight this episode, and for telling purpose. Last week, they dealt with the romantic nature of Oliver’s life. Now, they focus on the loss of his morality, bartered in favor of a new one. It’s only right that Oliver’s guide, teacher, friend, brother be the personal bond most tested. Opening the hour with the ruse about fighting John and taking his life, only to have it be an induced hallucination, set the stage. Yet, it was Al Sahm’s kidnapping of Lyla that really set things at odds. I always embrace Audrey Marie Anderson’s guest appearances because I thoroughly enjoy Lyla’s sort of adjunct position with Team Arrow and the normalcy of her relationship (now marriage) with Diggle in this abnormal world. The Diggles hosting Team Arrow family dinner and Lyla openly welcoming Thea into their home are just two of the great little touches that subconsciously add very human layers to the series. Lyla’s capture by Oliver is a very specific threat, but it’s also enticing to hear her give him the business over his switch. She gives voice to the emotional side of Diggle that he’s often reticent to share. Connecting the two as brothers was a very poignant context to offer this turn of events. The betrayal and Oliver “lost” quality were captured better and played stronger in that context than they would’ve been coming at it from either the familial angle with Thea or the romance angle with Felicity. This is Diggle’s best man, the guy by his side at his wedding, now threatening the love of his life. It’s a very palpable sting that might have lasting consequences and bring up some old fissures in their partnership. That brings us to what’s colloquially and [anti?] affectionately being referred to as the “cry talking.” Felicity has become such an exposed emotional nerve this season that it is rare to find moments when she’s not on the verge of crying while delivering her dialogue, if not outright weeping. It’s hard to fault Emily Bett Rickards for this because it is the material they have given her. And by no means, does that mean that Felicity shouldn’t be an emotional and affected character. The issue, like in many creative things, is that it is starting to become a singular sustained note rather than a symphony of variety. On top of that, it’s a discordant note and that serves to make it a distraction. Sadly, the cry talking finds a healthy stage to peddle its wares this episode, and frequently I found myself actively tuning her out when she was supposed to embody the very hurt and betrayal of Oliver’s new station in life. She has an absolutely lovely moment with Thea when they talk about still caring for Oliver and she reveals to Thea that Roy is actually alive. Tears are still present, and emotion is hung clearly before us, yet it’s an example of doing so with soft nuance and modulation that makes it not only authentic but earnestly relatable. It proves it’s quite possible to keep the emotion without resorting to what’s become akin to radio feedback squeal. Certainly not squeal this hour was the opportunity to see Nyssa come out of her shell. In a way, this was reminiscent of little John Conner trying to teach the Terminator the tiny savors about being human. Katrina Law and Katie Cassidy have great chemistry and to see their characters connect as people beyond the ties of Sara is lovely. 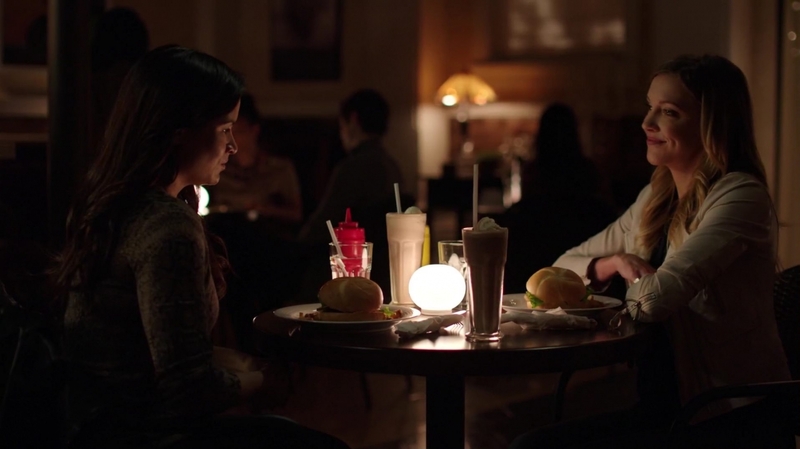 Even the tiniest hint of romantic subtext aside, seeing both characters get the chance to smile and enjoy something as simple as french fries dipped in a milkshake was heartwarming for the audience. We do like to breathe in the quiet moments. What’s terrific about this connection is that it continues to deepen and improve Laurel’s character. Not only are they addressing Laurel’s capabilities as Black Canary — the use of Cisco’s new Canary Cry collar was superb — but it’s allowing her to step into her own as a person. She’s becoming authoritative and decisive not just bossy. Strategic not just headstrong. 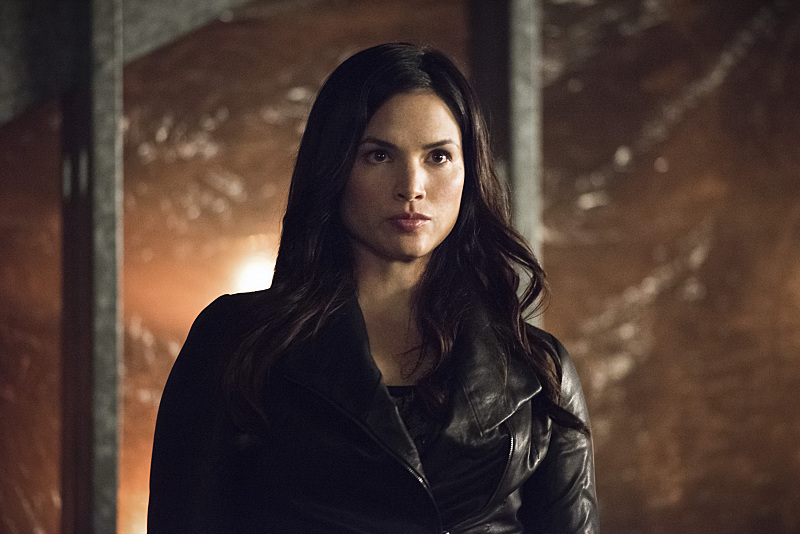 And her protective tendencies resurface in commanding fashion with her insistence that Team Arrow help Nyssa. Laurel continues to make strides toward her own future. Nyssa, unfortunately, is opened to a world of hurt. It’s both curious and not that Ra’s spared his daughter’s life following what he consider to be egregious insolence. Not only had she thrown a fit following her father’s selection of Oliver Queen to be the next Demon’s Head, she’d also stolen the instrument of the next step of his plan. Putting her to death seems to fit the League’s ways; Ra’s even wondering why Oliver spared his friends last week after their attempted escape with him. Still, we’ve also seen that Ra’s is a man of deep emotion. He’d already given up one family when he’d joined the League. He wasn’t above killing his daughter per tradition, which is obviously very big within the organization, but he also didn’t want to see it done. Instead, another plan danced before him as both solidification of his legacy and punishment for Nyssa. Decreeing that she should be married to his appointed heir, Al Sahm, was a strategy that solved his problems and concerns. It matters not that the two don’t care for each other in the least. Some concern was brought to my attention that this was a clear denunciation of Nyssa’s sexual preference. To be frank, it wasn’t something that immediately jumped out at me while watching the episode. We’ve mentioned in the past that there has been a low-boil subtext to Ra’s addressing his daughter’s relationship with Sara Lance. Nyssa very explicitly called her father out for a perception that his conservative ways of thought manifested in a homophobic hatred of the two together. Ra’s brushed this off by saying he never felt Sara was the right person for Nyssa’s love. He never flatly denied her accusation, but he’s also never given voice to any particular stance on the subject. Personally, this came across as punishment for her actions rather than for her desires. With that subtext underlying, intentional or not, it’s tough to fault anyone thinking otherwise. Though, for as nasty an intention or motivation as that could be, would it surprise anyone that it’s given to a villain? The major downfall of the episode is the reuse of the Alpha-Omega bioweapon in the present. In any superhero story, you want to deal with earth-shattering stakes. We want Superman to stop buildings from crumbling, or at least catch the debris from falling on people. We want to see the Avengers wrestle an entire alien invading force back through the split in the sky from whence they came. If the stakes aren’t to be devastating on a city-wide, country-wide, or global scale, what’s the point of using superheroes? This also provides a keen connection to the flashback storyline beyond Maseo’s involvement. After witnessing the heartbreak of the onset of the viral infection in young Akio after Oliver, Maseo, and Tatsu find him in the affected city, it adds both gutpunch and real danger to the current events. Yet, this feels like going to the well too many times. One of the underlying concerns that’s only been briefly touched upon this year (and then, primarily by General Eiling over on The Flash) is this thought that metropolitan-level terrorism is quickly becoming the norm, specifically in Starling City. Two years ago, we had the Undertaking, which leveled an entire borough of the city. Last year, we had Slade Wilson and his Mirakuru soldiers, an attack which almost resulted in the tactical annihilation of the city by Amanda Waller’s A.R.G.U.S. forces. With the threat only now escalating to city scope in the third to last episode of the season, one can’t shake the formulaic nature of it all. The struggle this year has not been about Oliver saving the city. At least, not on the whole and not against a carefully constructed and executed plan. It’s been about Oliver’s identity as a person and not just as a public figure. The idea here is to have Oliver inflict something as devastating as what he’s fought to stop in the past to illustrate the struggle of self he’s going through. It’s not an ignoble story to pursue, per se. It just feels like a late fourth-quarter decision rather than a calculated gameplan. Despite a few nagging elements, “Al Sah-Him” is a gem of a fast-moving treatise on Oliver giving up his moral center to become that which he’s fought. Couching this turn from himself and his past life in his relationship with John Diggle, seen as the personification of Oliver’s moral compass, was a knowing and riveting choice that made the personal seem all that much more so. Also appreciate that Oliver wears the hōzen as Al Sahm. The sword fight between Ra’s and Al Sahm to open the episode was gorgeously shot and stage amid the fog and fire and dark. Okay, if all of this was occurring right after they had returned to Starling from Nanda Parbat, I could see it, But three weeks and this is the first time someone has had the chance to let Thea in on the secret that Roy is alive? Nope. Colton Haynes is still credited as one of the regular cast. It’s cute how Thea calls him Mr. Diggle. Hiding the bioweapon in the hilt of a sword you actually use seems a bit unsafe. They have to be combined to activate it, but still.